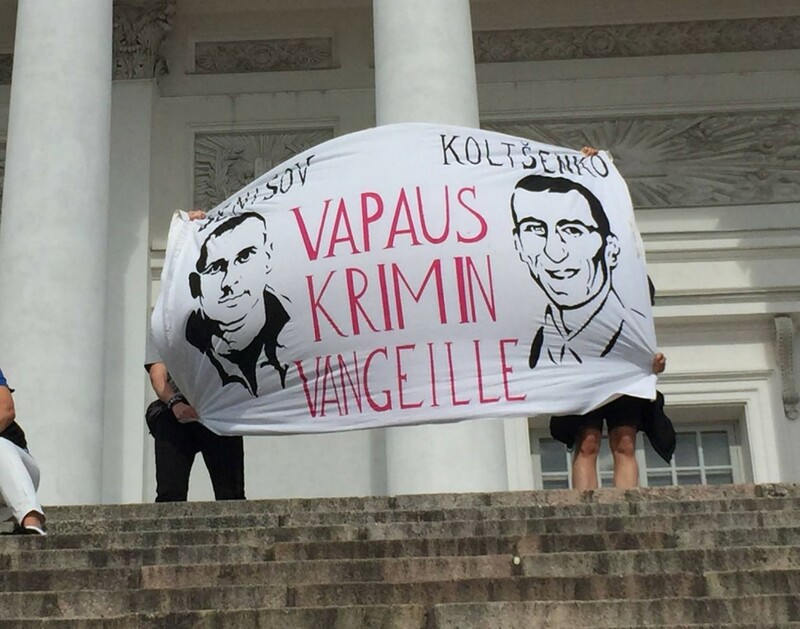 A group of anarchists were dropping banners in three different locations around the Finnish capital on Saturday 29th of August to support the international days of solidarity for anarchist prisoners. 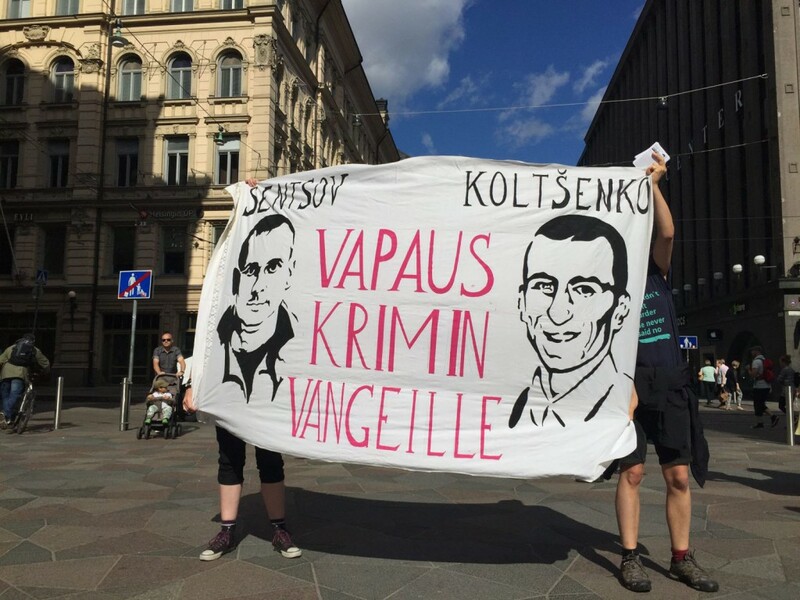 The banners focused on the struggle against prisons and gave a special greeting to Alexander Kolchenko and Oleg Sentsov who were sentences to ten and twenty year sentences in a frame up by the Russian authorities. Solidarity to prisoners – fire to prisons! 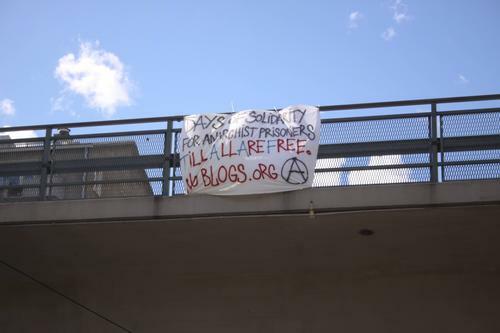 Solidarity to comrades in prisons all over the world! 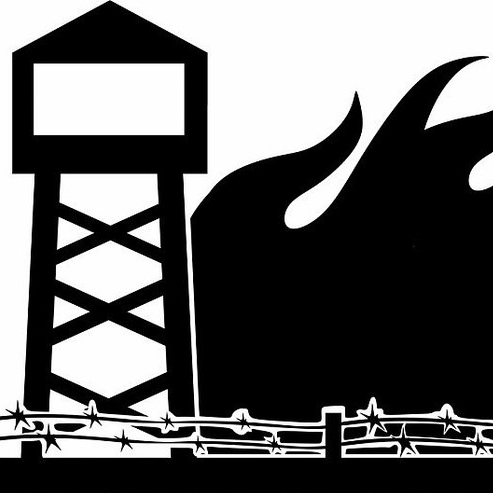 Struggle continues until the last prison has been burned to the ground! Specifically we want to bring up three examples. 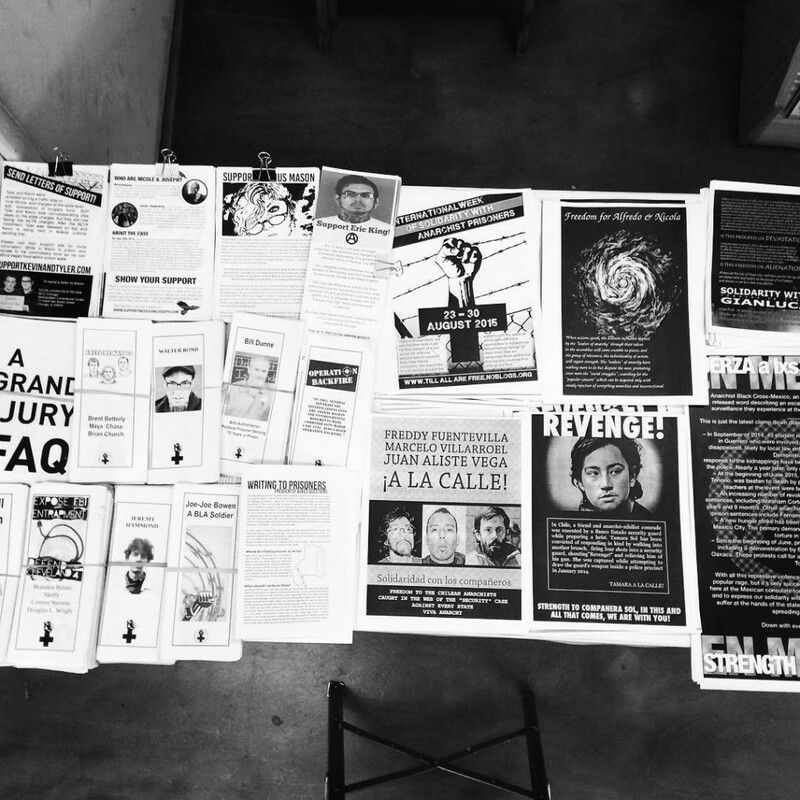 The growing prisonerunion, which is advocating for free unionization behind bars, is another worthwhile recipient for our solidarity. In North-Rhine-Westphalia the union is growing as well. Sadly the structure of solidarity outside the walls is in the early stages of development despite the size of this phenomenon. 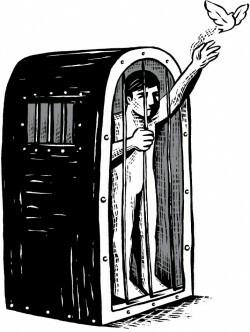 Because of this it is important for us to draw attention to the prisoner union while this week of action as well, so the outcry of the colleagues won‘t become silent behind the walls – what it will do if we won‘t get off our backside. 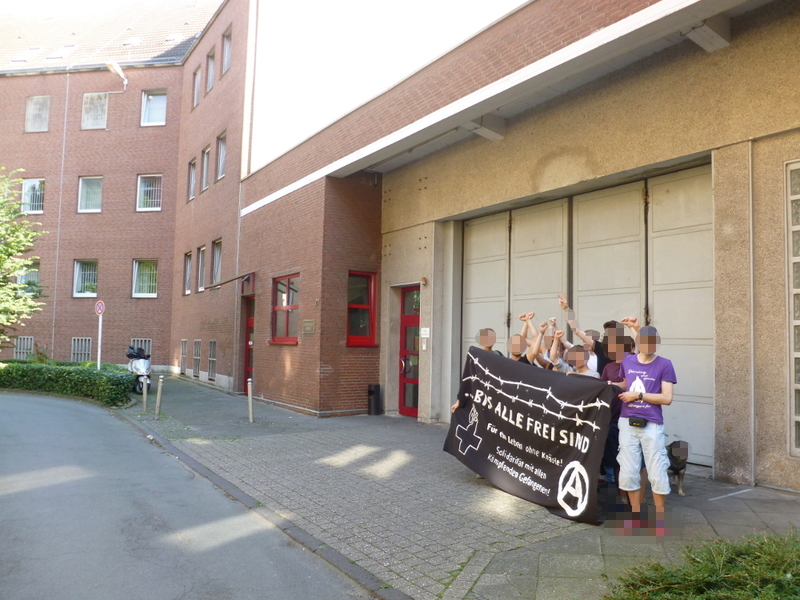 Repeatedly we want to renew the claim for the immediately release of the anarchist comrade Thomas Meyer-Falk out of the dungeon of preventive detention. 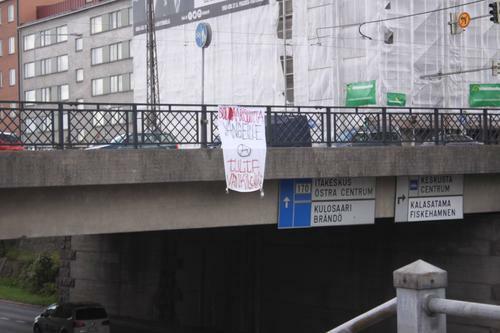 At 26 of August in Riga, near the island bridge, banner drop action occurred. 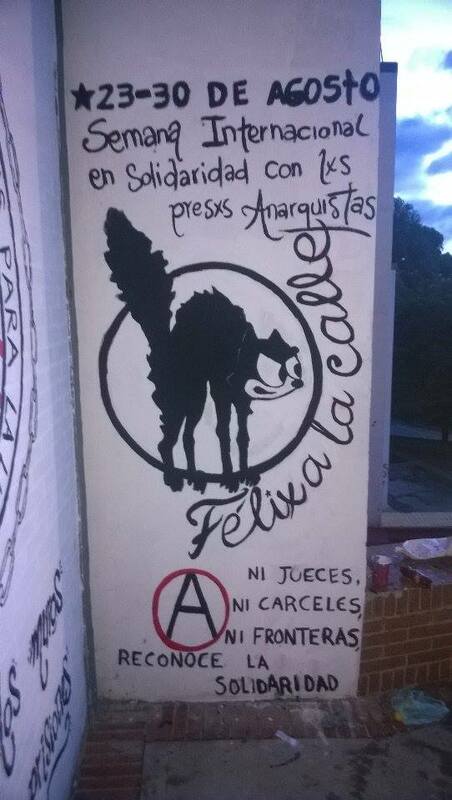 The text on it invites everybody to fight for release of prisoners, who are fighting for a free and just society. 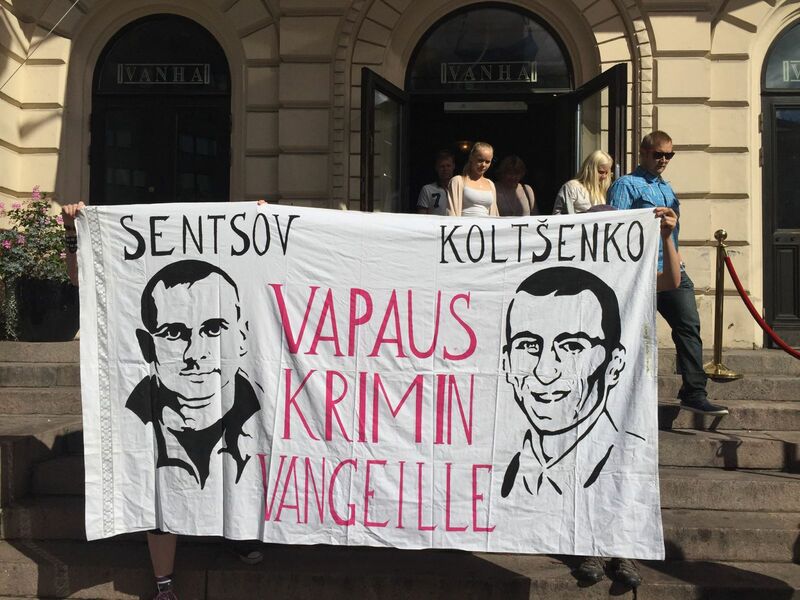 26 августа в Риге возле островного моста был вывешен баннер призывающий всех к борьбе за освобождение заключенных, которые сражаются за свободное и справедливое общество. Из года в год в конце августа, во всем мире происходит неделя действий за освобождение из мест заключений всех анархистов. 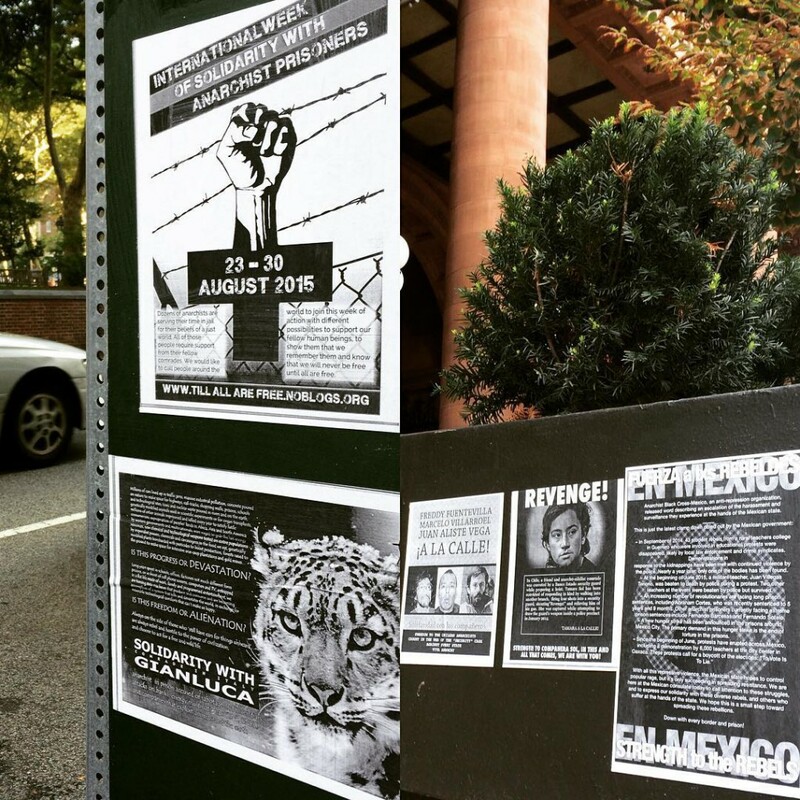 Радует, что и в Латвии уже второй год подряд, при поддержке “Anarchist Black Cross Latvia”, проходят разнообразные кинопоказы и лекции. 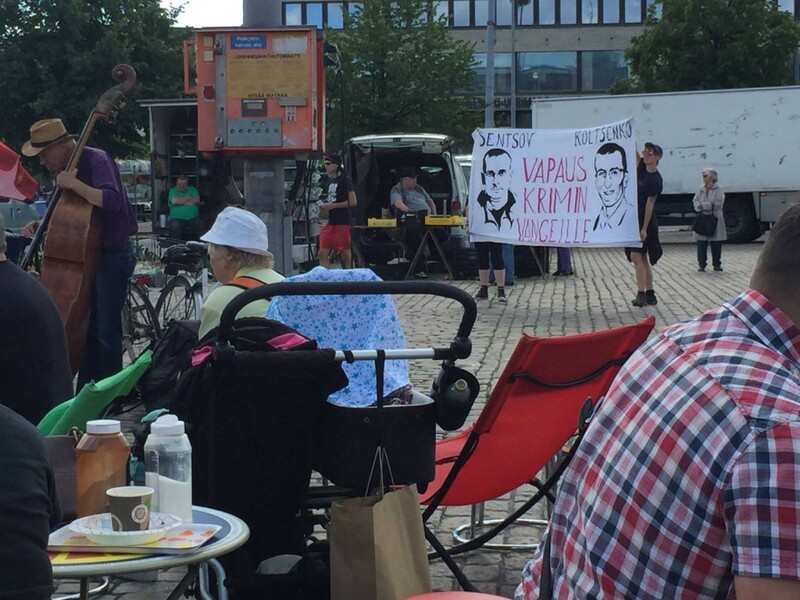 В наше время в большинстве стран мира везде говорят про свободу и права человека. 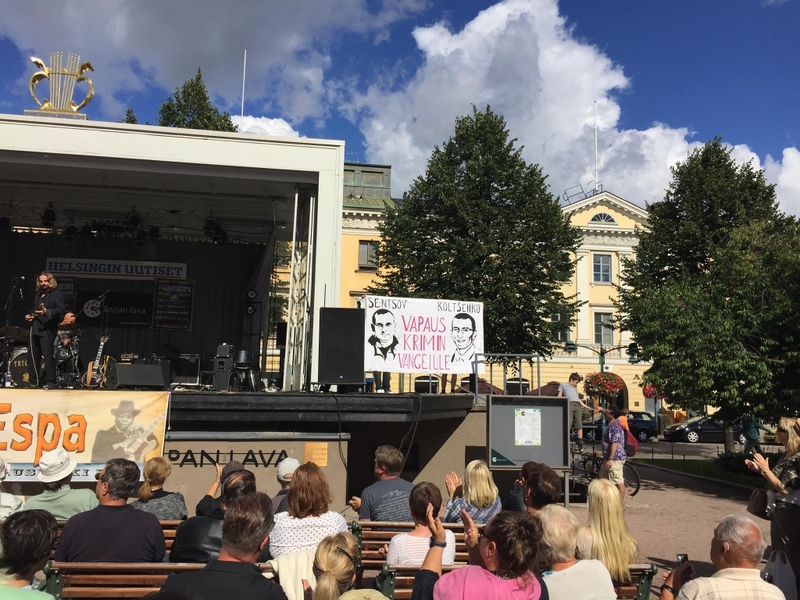 И в тоже время эти же люди отдают приказы на арест, тех кто по их мнению для них опасны. 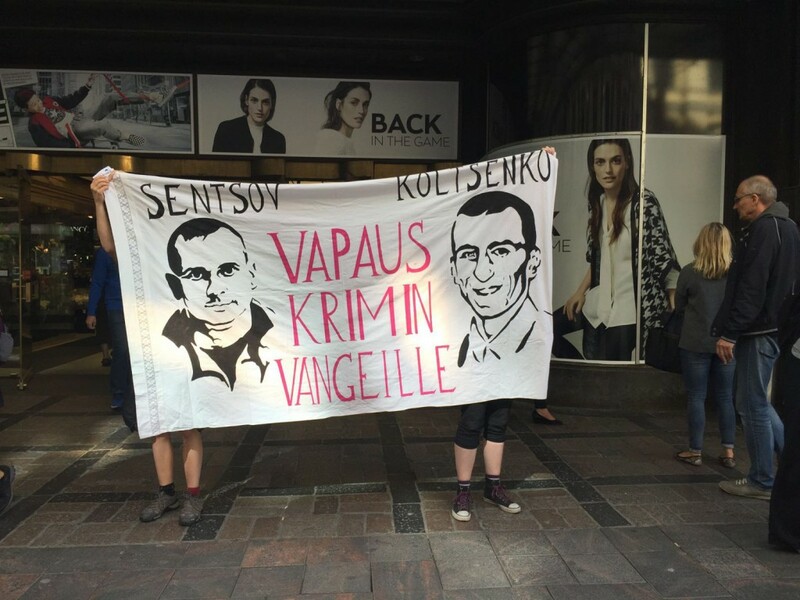 Кинорежиссеры, репортеры, конкуренты по бизнесу или простые прохожие, оказавшийся не в том месте. Никто не застрахован от тюрьмы! антифашисты из города Ивацевич и Бреста. 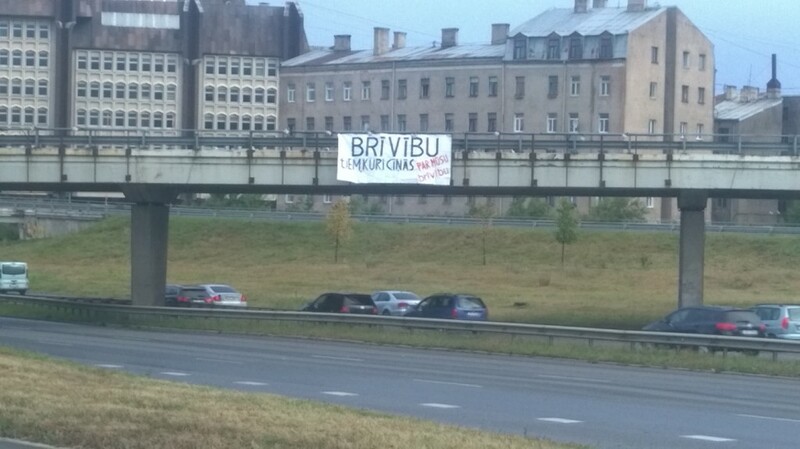 Борьба должна продолжаться, пока все не будут свободны! 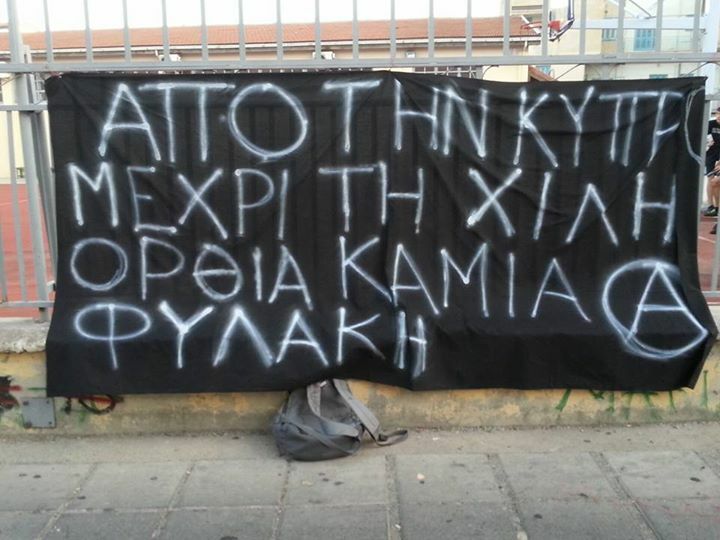 In support of every anarchist prisoner worldwide until the last prison would be burnt out there was a banner drop action at the Faneromeni square (the anarchist area in Cyprus). 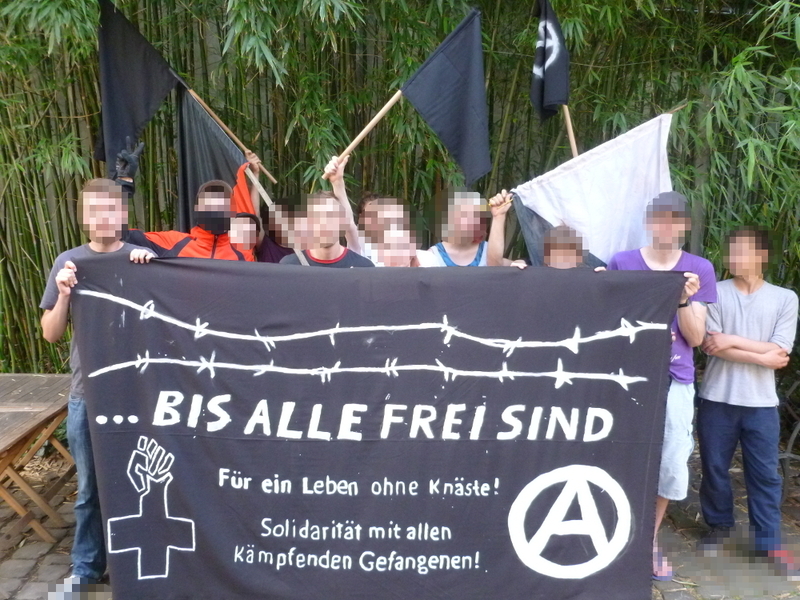 In the following interview we ask about the „Week of solidarity with anarchist prisoners“ (August 23 to 30, 2015), who is promoting it and what it is about. For security reasons, this interview has been re-recorded using our own voices.